Mr. Henry Lee Burke, age 83, of Rome, GA, passed away on Monday evening, May 14, 2018 at his residence surrounded by his family. Mr. Burke was born in Millen, GA, on November 4, 1934, son of the late Olin and Frances Elizabeth Burke. He was a veteran of the United States Army, serving during the Korean Conflict. Prior to retirement in 1992, Mr. Burke worked as a customer engineer for IBM Corporation for over 33 years. He was a member of the West Rome Baptist Church for 49 years, where he served in many roles including deacon, teacher of men’s Sunday School class, and Training Union Director. Mr. Burke also served on the building committee for the present sanctuary built in 1972. He graduated from Millen High School and Southern Technical College. Mr. Burke is survived by his wife of 62 years, Betty McCoy Burke, whom he married August 25, 1955; son, Stephen Burke; two daughters and sons-in-law, Jan and Billy Covington, and Melanie and Dean Drummond; six grandchildren, Jonathan Cantrell, Sara Beth Howes (Nate), Katie Cole, Mary Burke Drummond, Madeline Drummond and Brady Drummond. Nine great-grandchildren and a sister, Betty Deason also survive. Funeral services for Mr. Burke will be hold on Thursday afternoon May 17, 2018, at 2:00 p.m. in the Carl Sidwell Chapel of Salmon Funeral Home with Pastor Jarrod Roberts officiating. Interment will follow in the Oaknoll Memorial Gardens. Mr. Burke will remain at Salmon Funeral Home where the family will receive friends on Thursday from 1:00 p.m. until the service hour. You are invited to visit www.salmonfuneralhome.com to share memories and post tributes. 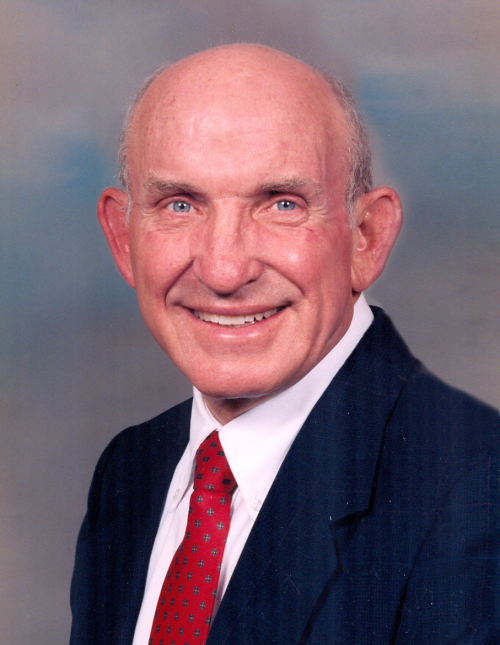 The staff of Salmon Funeral Home is honored to serve the family of Mr. Henry Lee Burke.